Well this is EXCITING! We have been receiving a bunch of fantastic reviews this week. 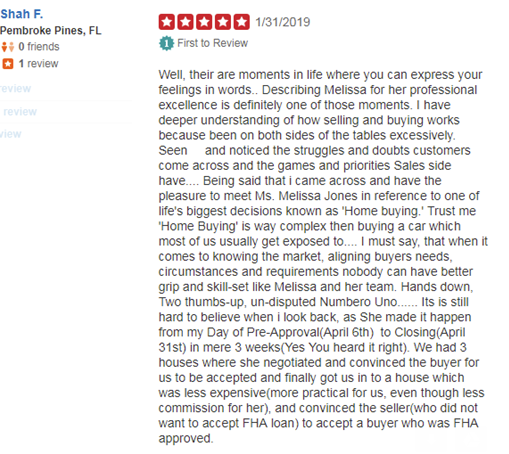 Our clients know the best realtors in Broward County are our PRAG Agents! We just had to share these recommendations - we hope you will too! Check out these client reviews and testimonials. Then reach out & tell a friend! Let's get started on your next move today! 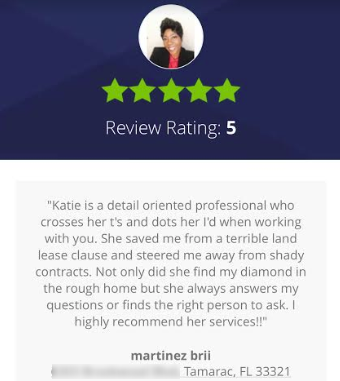 Click here to visit Katie's website & contact her! Click here to visit JR's website & contact her! Click here to connect with Melissa on Facebook!